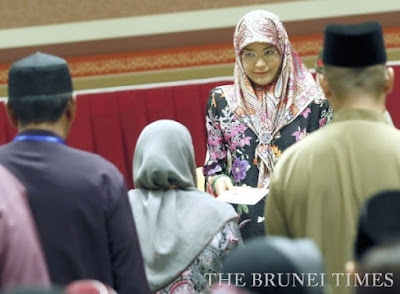 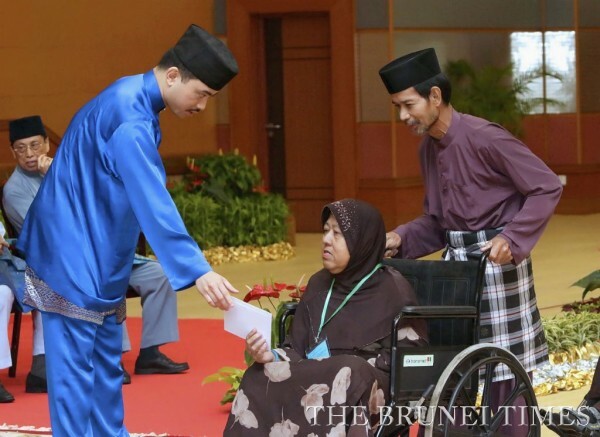 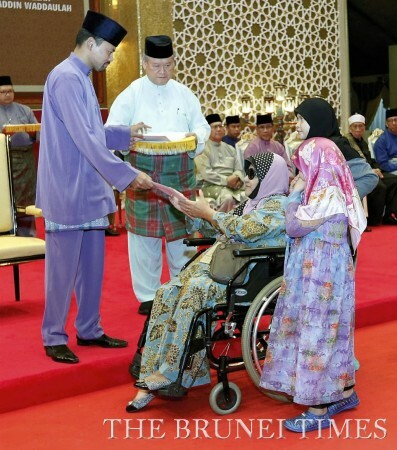 A TOTAL of 16,479 people – comprising orphans, the less fortunate and those with special needs – have received kurnia peribadi (personal gifts) from the monarch this year, ahead of upcoming Hari Raya Aidil Fitri celebrations. 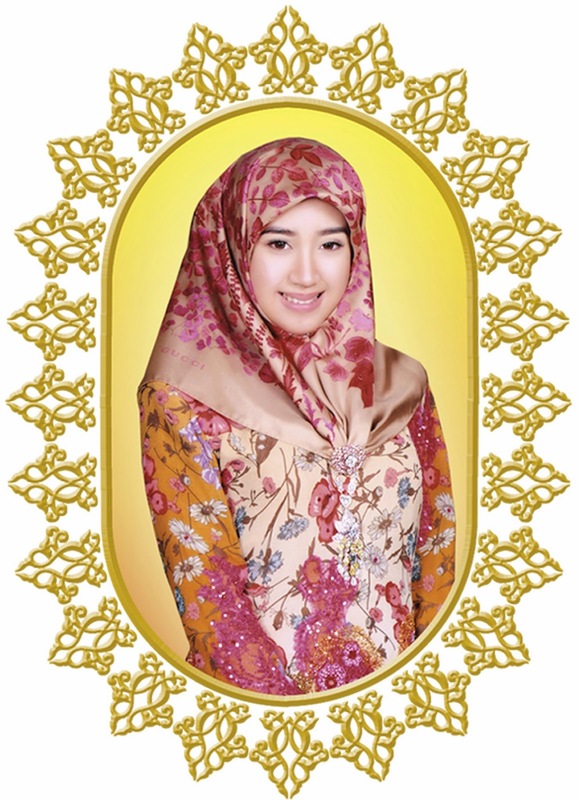 For the past six years, the endowment has been given to individuals registered with the government as requiring “special assistance”, regardless of their being locals or foreigners.In the second event this week, members of the royal family dispersed the kurnia to 7,953 people in concurrent ceremonies held across the country. 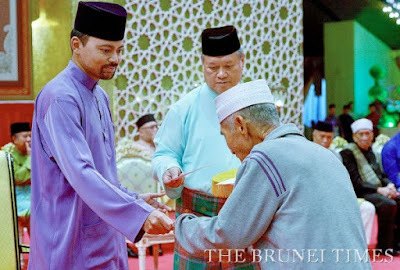 In Brunei-Muara, His Royal Highness Prince Hj Al-Muhtadee Billah, the Crown Prince and Senior Minister at the Prime Minister’s Office, and Her Royal Highness Princess Hjh Majeedah Nuurul Bolkiah were on hand to give out the kurnia to some 3,385 people at Istana Nurul Iman. 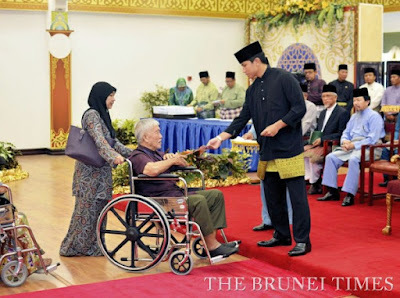 Meanwhile in Belait, 2,246 recipients lined up at Pusat Insani in Seria to receive the cash gift from His Royal Highness Prince ‘Abdul Malik. His Royal Highness Prince ‘Abdul Mateen presented the kurnia to 2,322 people at the Tutong Community Complex. 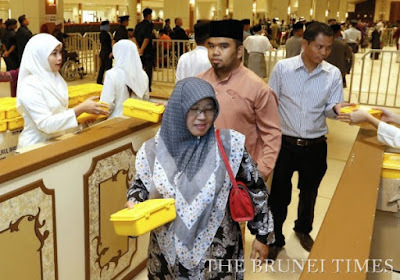 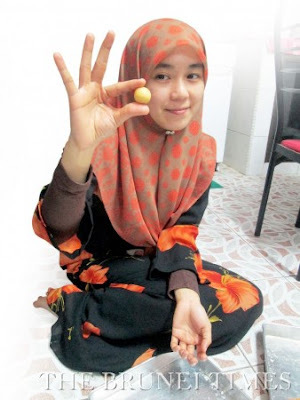 Each recipient was given a coupon which they cashed out at one of the Bank Islam Brunei Darussalam counters set up at each venue. The kurnia peribadi reflects the generosity of His Majesty Sultan Haji Hassanal Bolkiah Mu’izzaddin Waddaulah, the Sultan and Yang Di-Pertuan of Brunei Darussalam, towards his less fortunate subjects during the festive period. Brunei will mark Hari Raya Aidil Fitri next week, either on Friday or Saturday, once the new moon is sighted.